Sponsored post is just an article or blog post published on your blog on a request of an advertiser/company for some fee. Getting paid for sponsored post is really an awesome feel. Every blogger wants to have this type of posts on their blogs. But unfortunately, some bloggers aren't able to get paid blog post opportunity, even after qualifying for the same. Even some bloggers with good Alexa rank and traffic miss this opportunity or say they try a lot to get sponsored posts but they don't succeed. There are lots of reasons behind not getting paid post opportunities. But in this post, I am writing a guide that will definitely help you to make money from your blog by writing sponsored post. 1. What are sponsored posts? 2. What are the benefits of sponsored posts? 3. When can we start getting Sponsored Posts? 5. Different ways to get sponsored blog posts? A sponsored post is a post, when a blogger receives payment from publishing an article provided by the sponsor or written by the blogger, but includes, at least, one contextual link. The article is known as a sponsored post. Suppose you are an Advertiser and wants to advertise your product on Tips2secure. For this, you will contact the Admin of tips2secure and ask the admin about your product and show your interest to have a description of your product in the form of a normal blog post on Tips2secure. Now if the Admin will agree on your proposal then you will be asked for some price/fee for that. So, you will have to pay some amount for that post. 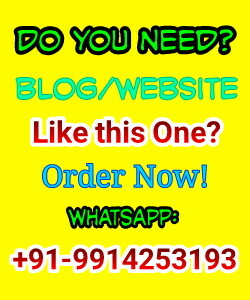 Now the amount you will pay would be blogger's income and the post will be called as sponsored blog post. Why to write sponsored posts? In short, to make money from your blog without wasting any Ad space on your blog. It will also make your website looking clean. Generally, readers start to avoid reading the blogs with lots of banner ads but if you do focus on sponsored post then it would be beneficial for you and your readers too. To make money from your blog. To make your website clean and free from Ads. To make realize your readers that you care them. To make your website speedy. These days many blogs are making half of their monthly income by just posting sponsored content, so don’t overlook this earning source. When can we start getting Sponsored Posts? Once your blog gets some good stats, it will not be a difficult task for advertisers to reach your blog and you will automatically start getting advertisers emails in your inbox and thus, you will be easily making like 20$ -500$+ per post [Depends on your blog]. But what if you do not get advertisers emails for sponsored reviews? Well, this thing is very common these days due to the increase in the number of blogs in your niche. Technology niche bloggers face this thing a lot. But don't worry, I have a tool that will solve your problem. I was also not getting sponsored posts for my blog Tips2secure in past. But now I get 4-5 sponsored posts every month with the help of that tool. Hey, I am not selling here any product, the tool I am asking for is totally free of cost. (If your blog's Alexa rank is not under 100k, don't worry you can still get sponsored posts with the help of the tool that I am about to discuss). Honestly, DA does not matter a lot. DA and PA are just the stats developed by Moz itself to estimate the value of websites. But it is also a reality that some advertisers look at the DA and PA of sites to advertise. If your blog has DA 15 then 70% of advertisers will be ready to accept your blog. Even if your blog has DA 10 you can try for the sponsored posts. But if you are below DA 10 then you should wait until your DA reaches 10 or above. If your blog is performing well in SERP's then it will bring more and more advertisers to advertise on your blog. To rank your blog you should focus on SEO of your blog. If you already have established your blog then you can't do a lot with competition. But if you are newbie or thinking to start a new blog then you can analyze the competition first before starting your blog. You should start your blog in low competition niches. Here is an awesome guide to find low competition niches and keywords. After writing some recommended starts to get sponsored posts, now I would like to highlight some points that Advertisers want from your blog. 1. Advertisers ensure themselves that your blog will satisfy their needs or not. 2. Is your blog meets their expectations? 3. What type of readers your blog has? 4. Does your blog own country specific or targeted trafffic? 5. Is your blog able to deliver some sales to advertisers? 6. Has your blog already some sponsored posts? 1. Start writing emails to advertisers with sponsored post offer. It is well said that "If something can’t reach you, then try to reach to that thing yourself". Now you might be thinking where to find advertisers? Make a list of your competitor's blogs under your niche and check if that blog has posted any sponsored post recently or not, if yes then note down the advertiser name that your competitor blog have reviewed. Now the next step is, I think you have understood what I want to say! Right? Well, the next step is to contact that advertiser with your proposal. You may get up to 50% response from this method. I love this method and it's one of my favorites. If you have monetized your blog with Adsense or any other Ad network then you can do this. If your blog is not monetized with any Ad network then you can follow some other blogs monetized with Ad networks. Now the work you have to do is to observe the Ads carefully and reach the advertisers. To reach and find the website of Advertisers never click on Ads, you can search their brand in Google and reach them. But what to do if you are still unable to get sponsored posts? Don't worry, now it's time to reveal that tool that will help you getting sponsored blogs posts opportunity. Trust me, the information you have read till now in this post was just a trailer and now the real movie is about to play! 1. Your blog must be at least 3 months old and be cached/indexed in the major search engines, including Google. 2. Your blog must have a minimum of 10 backlinks. 3. Your blog must contain at least 10 archived posts with a minimum of 3000 combined word count. You are required to have an archive section or a clear way to navigate to your archive section located on the homepage. 4. Your posts must be spell checked and not contain an excessive amount of grammar errors. Here I recommend you to use Grammarly while writing your posts. It will help you detecting your grammatical errors automatically and provides solutions. 5. Spun/Computer Generated content is not allowed. 6. All posts must contain unique content. 7. You must price your blog reasonably. Extraordinarily high prices for low-quality blogs will not be accepted. Now, it's the time to reveal the name of that tool/website. The name of that tool is SponsoredReview. Now I am going to write step by step tutorial on how to apply and getting approved for this tool and how to list your blog/website, set pricing for your blog and all. So, if you are really serious about getting sponsored post then be careful now and don't miss any of the steps I am going to write in this tutorial. Click here to Create your account now. Step 2: Now it will open a registration page like shown as below. Now enter your details carefully. Step 3: Now it may ask you to verify your email address. Step 4: Login to your sponsored reviews account using your username and password. Step 5: Navigate to 'Manage Blogs' section. Click on 'Add new blog'. 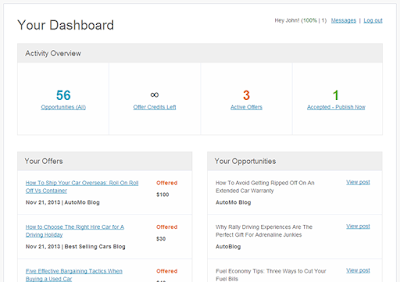 Now fill up all the information and submit your blog for approval. Also, they charge 50% from your earnings as their fee. Like if you are going to list your price $50 then, at last, you will get paid only $25. But I am sure still you will like this site. Because this is one of my favorite tools to get sponsored posts. Step 6: You will get an email from sponsored reviews maximum within 72 hours with the approval status. In case, if you have listed your blog but not getting any post then this option will work best for you. Here, you can bid on their requirements and offer them some discount on their price listing so that they may reach you and approve your blog. If your bid will be approved then you will have a sponsored post for your blog. Other tools to get sponsored blog posts [Alternatives of SponsoredReviews]? Unluckily, if your blog won't be approved by this marketplace to sell and buy sponsored post then still there are some alternatives of this site that may work for you. PostJoint puts you in control of working with writers, marketers and brands - you initiate the contact when you see an attractive opportunity. PostJoint brings advertisers and bloggers together to create a publishing environment, where bloggers are sometimes paid to post the advertiser’s article. This is a small marketplace but still effective if your blog stands on top with the stats. But I always recommend only sponsored reviews. 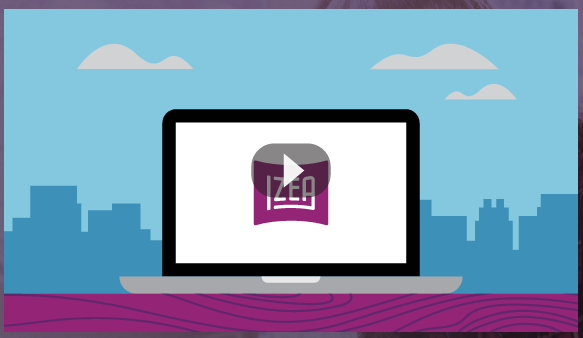 IZEA is one of many platforms that is built for bloggers to be able to connect us with brands. When you sign up on IZEA, you start with the “Free” plan and that means you get only a maximum of 3 bids per cycle. Your cycle reset date is basically when you sign up so every month your number of bids gets reset back to 3. If you want to get more number of bids then you will have to upgrade your account. But I can't recommend you to upgrade your account because its not like there’s a flood of paid post opportunities on IZEA. One of the best ways to make money with your blog is to take on sponsored posts. That is why I have written this guide for my readers. Some bloggers start getting sponsored posts automatically and some do struggle a lot for getting paid blog post opportunities. I have given my best in writing this guide to help especially those bloggers who don't get succeed in getting sponsored posts for their blogs. I have mentioned some ways and tools also that will definitely help you. First of all, you should give your first try to SponsoredReviews because I personally use this tool for getting sponsored posts and also I am getting posts for my blog. 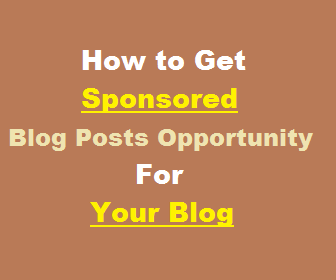 Message: I hope that you have enjoyed 'How to Get Sponsored Blog Posts Opportunity for Your Blog - [Sponsored Reviews]' article. However, if you want me to deliver more items, then please share my post. You can use Social Sharing Widget provided at the end of every post. After all, Sharing is Caring! I'm glad you liked this post. I will try postjoint. Wish me luck.